Do you know this feeling when you were a small child looking so much forward to the Christmas morning? 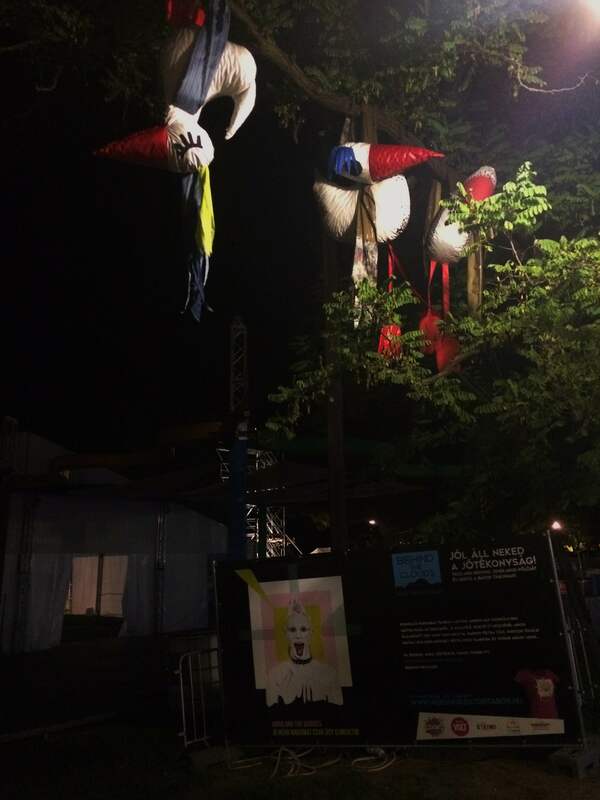 That is my feeling when entering the Sziget Festival yesterday night and judging from the number of people being already on the Island of Freedom; I was not the only one. 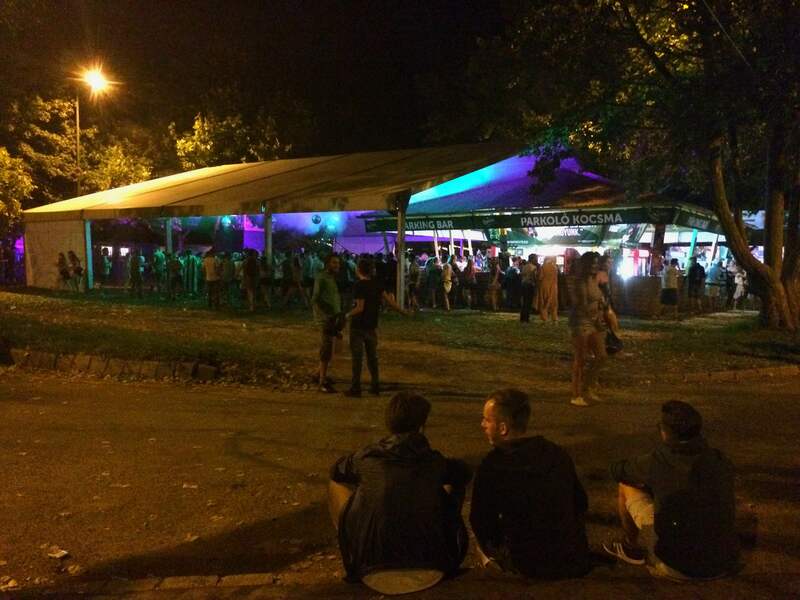 The gates of Sziget Festival 2016 opened already for so-called moving in. 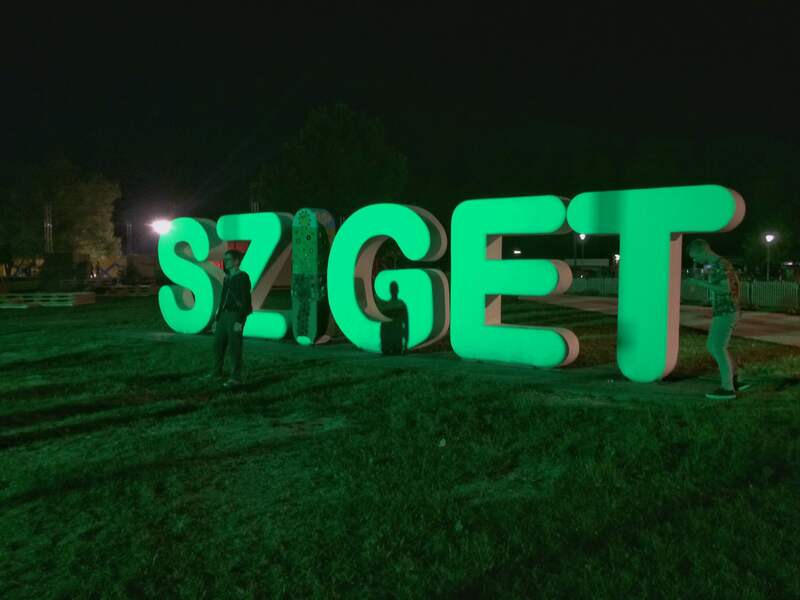 When I was going yesterday on the M1 highway from Vienna to Budapest, I saw several cars with foreign license plates packed until the roof with young and smiling passengers, whose destination was, without the doubt, the Sziget Festival. The first Sziget express train from Amersfoort arrived at Nyugati pályaudvar, and all the Szitizens seem to be in a very energised and festive mood. The official program will not start until Wednesday, August 10 but there is still quite some fun you can get on the island. 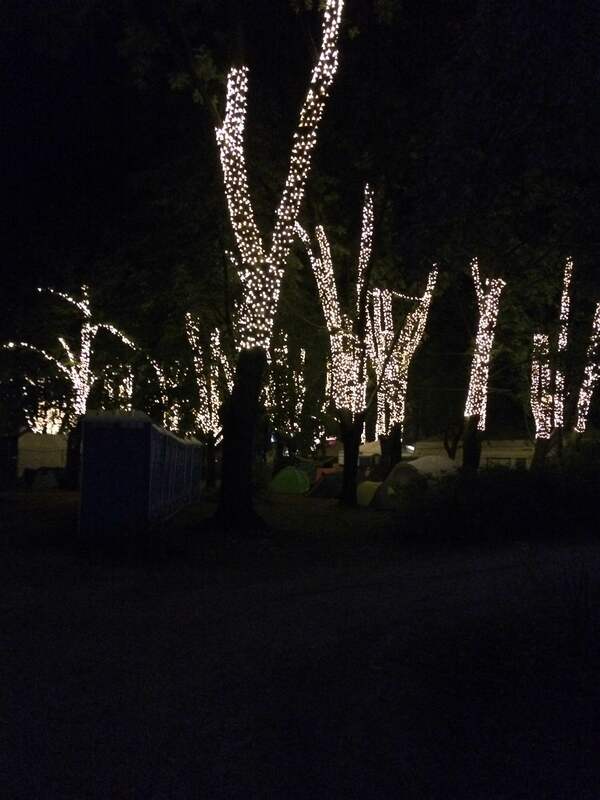 The nicest thing about arriving at Sziget early is that you can place your tent at a good spot, and you can familiarise yourself with the whole festival area before it gets crowded. This year, the 5- and 7-day passes were already sold out in June, and the daily passes are also disappearing with blazing speed, so you can expect the island to get pretty packed. 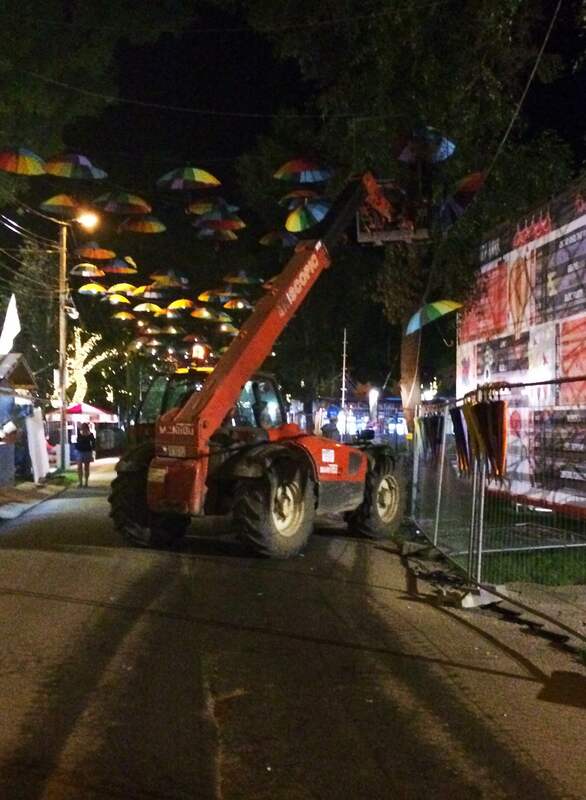 As the Sziget Festival did not start yet, there are still some finishing works being done. 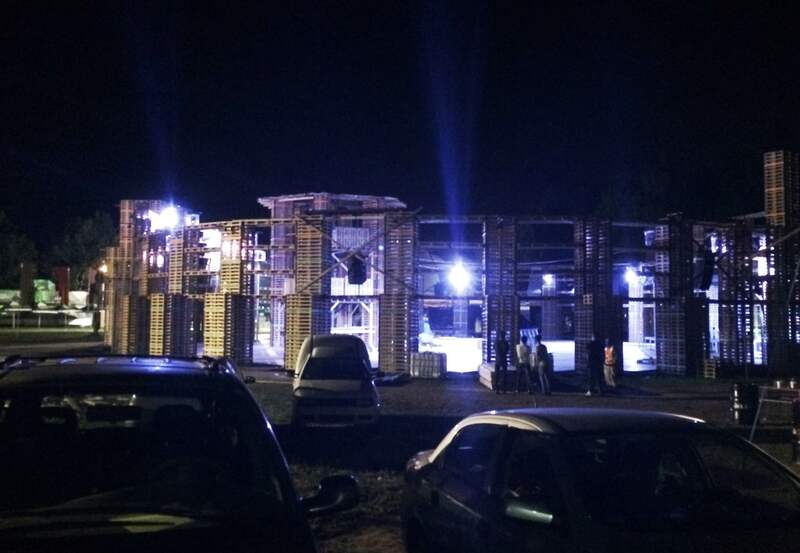 After last year, when I documented for you the building of the Festival, take a sneak peek at how it looks like just before being ready. 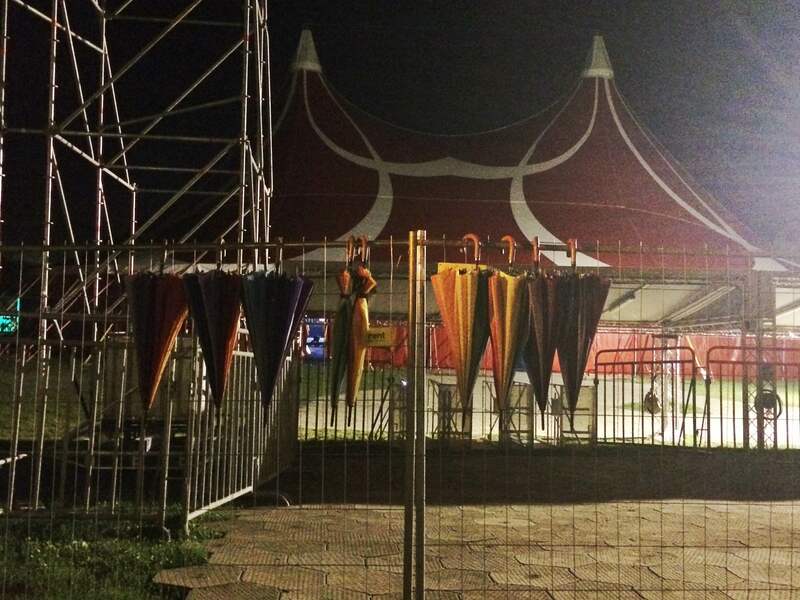 There is always more to read: Building Sziget festival - 7 days to go! 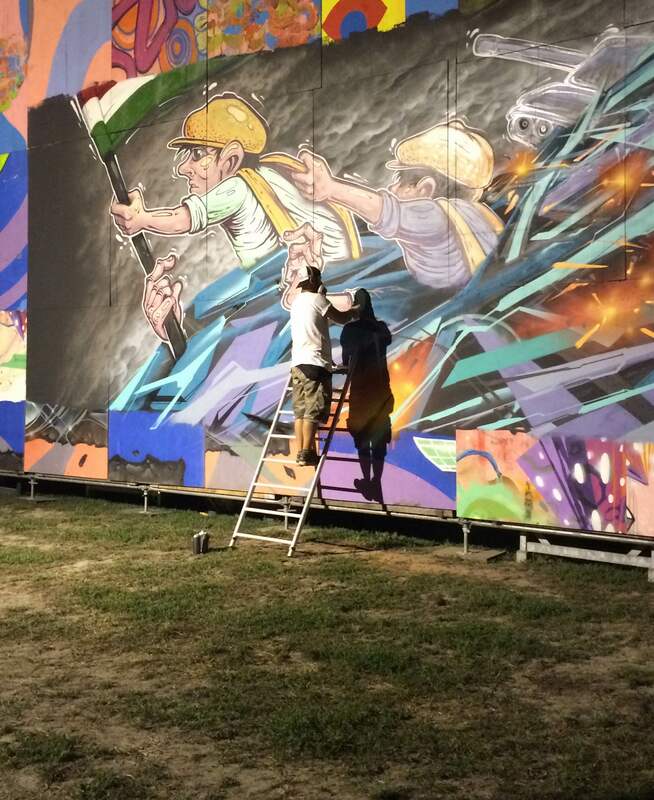 Work in progress at Sziget Festival – local graffiti artist decorating the wall between the Main stage and A38 with the Hungarian revolution of 1956 being the central motif. 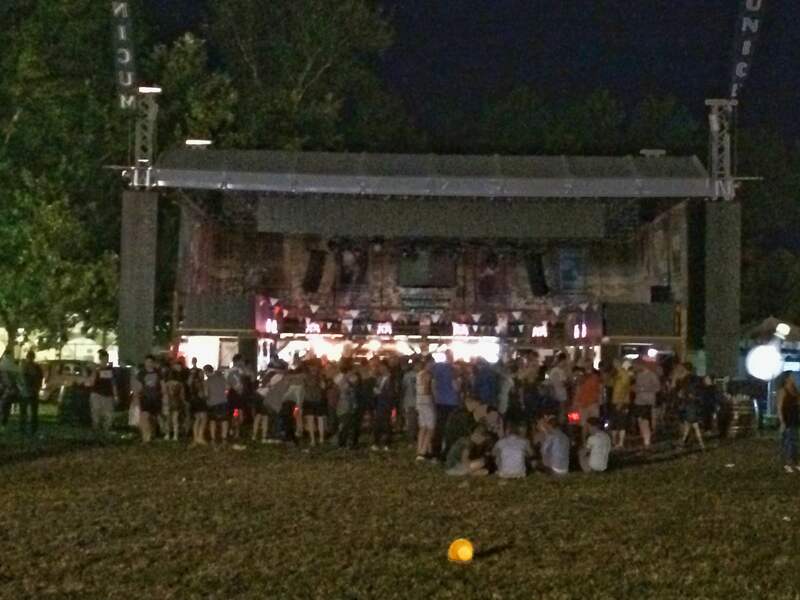 This is the A38 stage, a huge tent that was last year renamed to the Sauna tent. 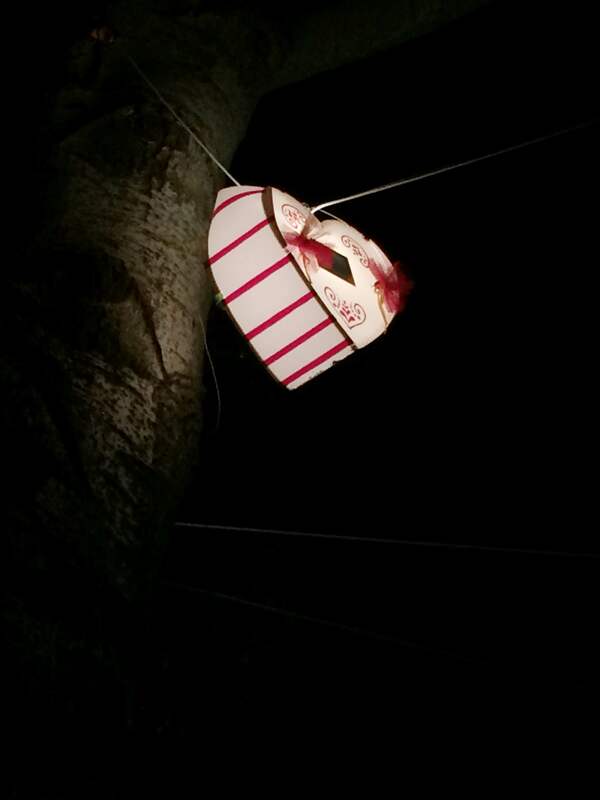 This year, it may come in handy if it rains. 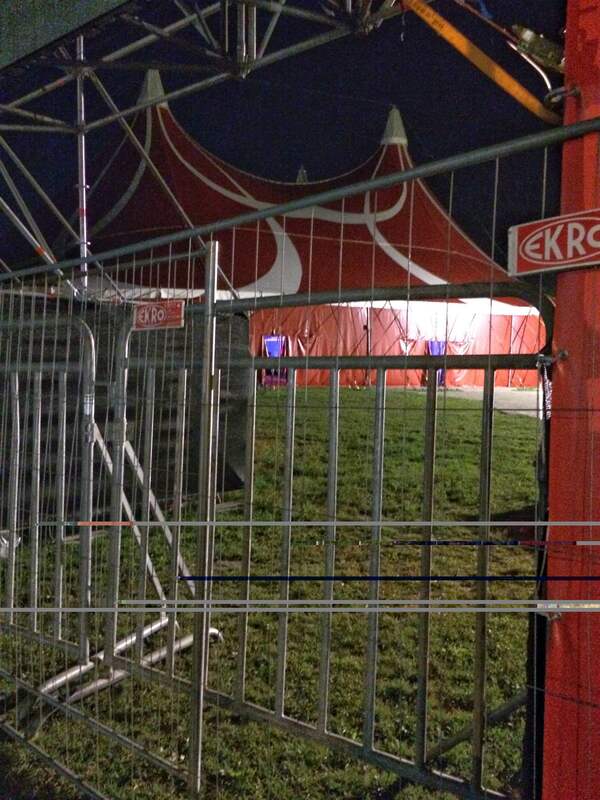 Now, it is still enclosed with fences because the program starts there only on Thursday. This is the Colosseum, a place where electronic music lovers meet to dance till the daylight. You will hear a lot of Dutch around this stage. 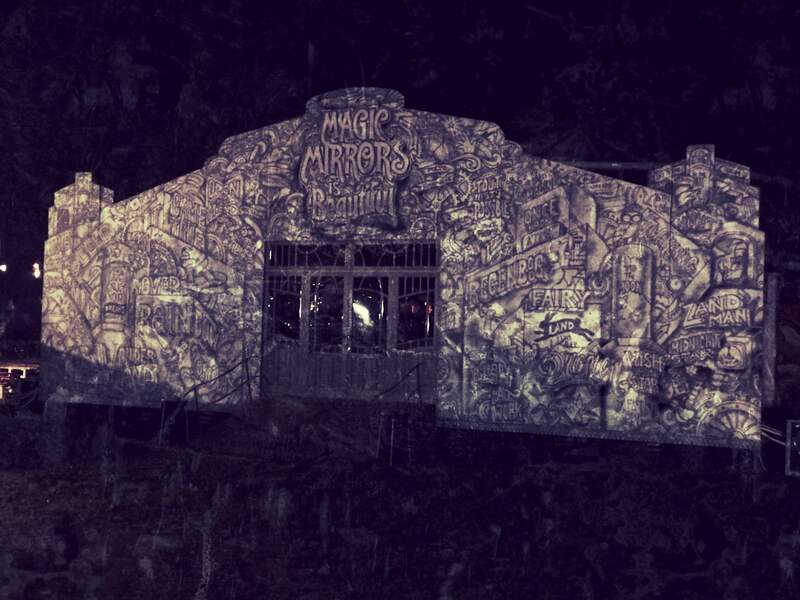 Magic Mirror – the queer venue of Sziget Festival has an enticing facade. 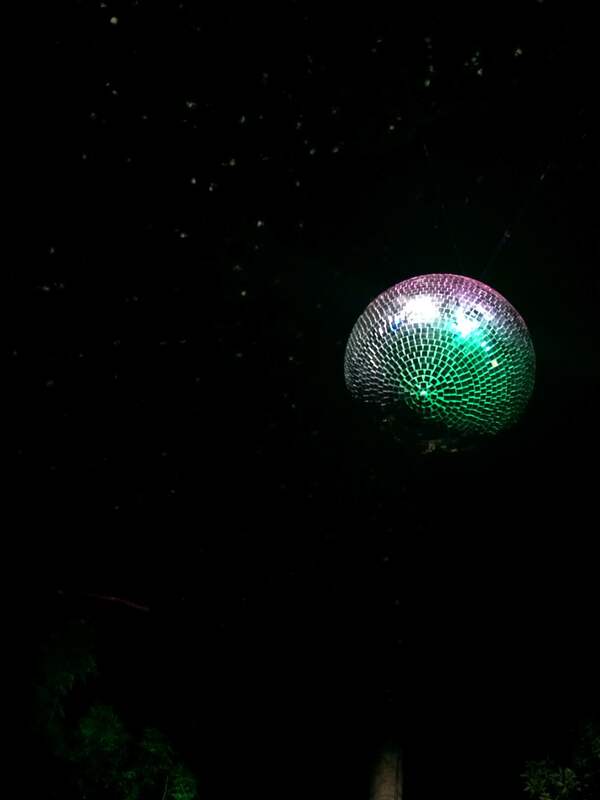 Come here for movies about migration, discussions about minorities, LGBT performances or just to dance until you can. Rihanna will for sure sing this song: You can stand under my umbrella (Ella ella eh eh eh) Under my umbrella. But to be able to stand under her umbrella, they need installation first. Do you know that there are 13 Hungarian Nobel Prize Laureates? 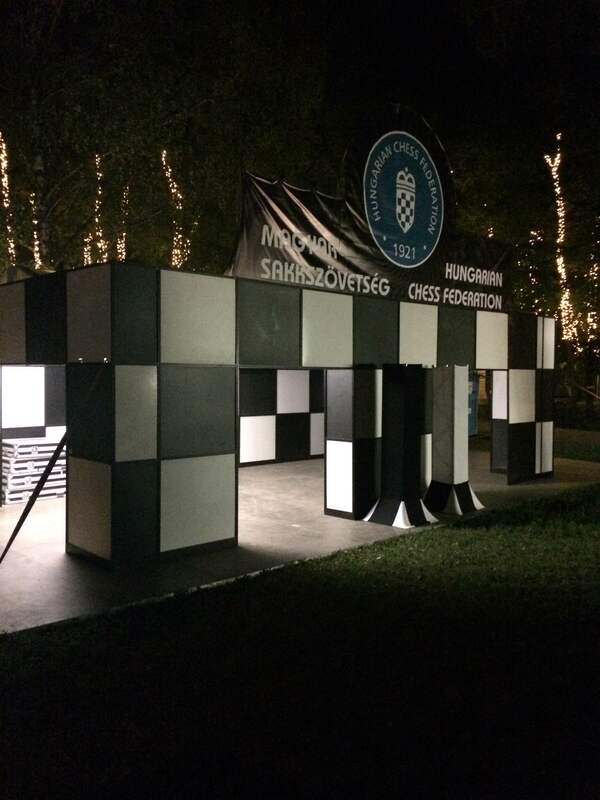 I bet at least half of them played chess. You can too – at Sziget Festival. 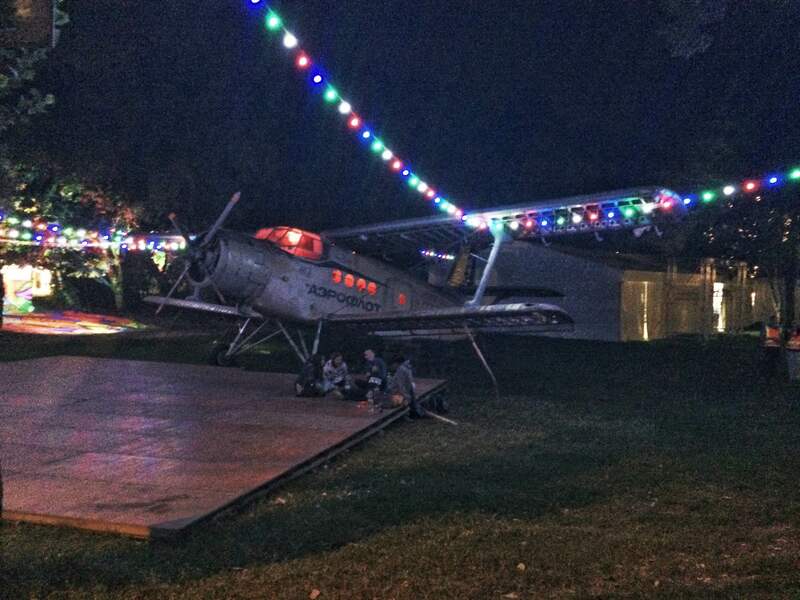 Aeroflot plane at Sziget Festival. Curious what will be the stage vibe. Looking at the Szitizens chilling next to it, guess it will be a popular picture spot. I will try to find out the story of this plane for you. Stay tuned! 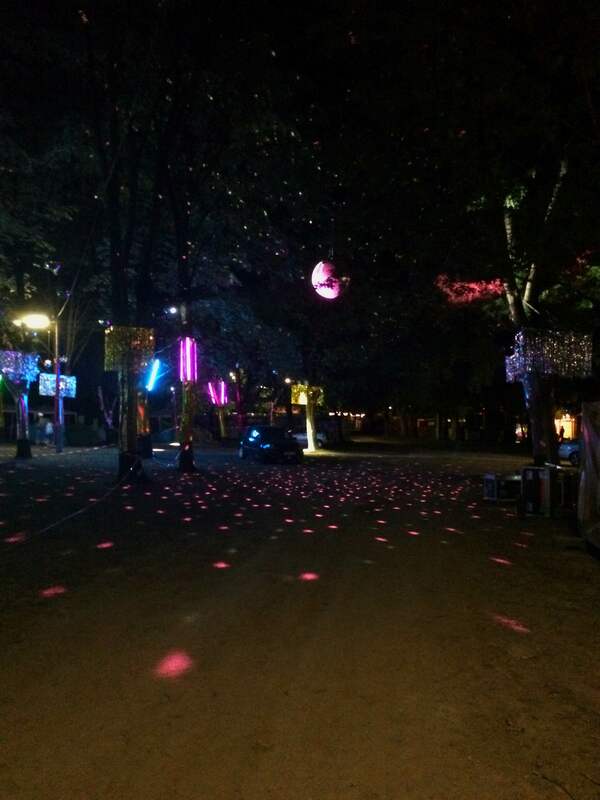 My most popular activity at the Sziget festival is wandering through the island at night. 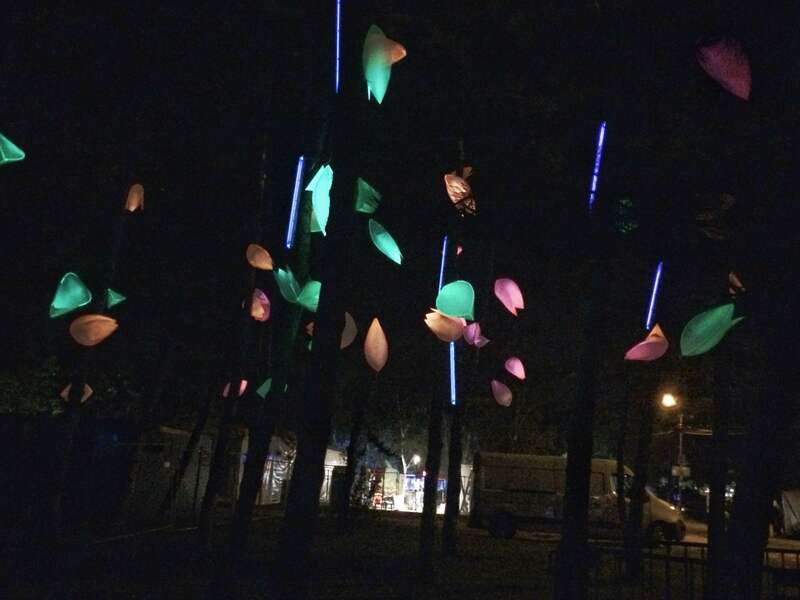 The light decorations, the omnipresent art and random people you come across too are worth the kilometres you will walk. 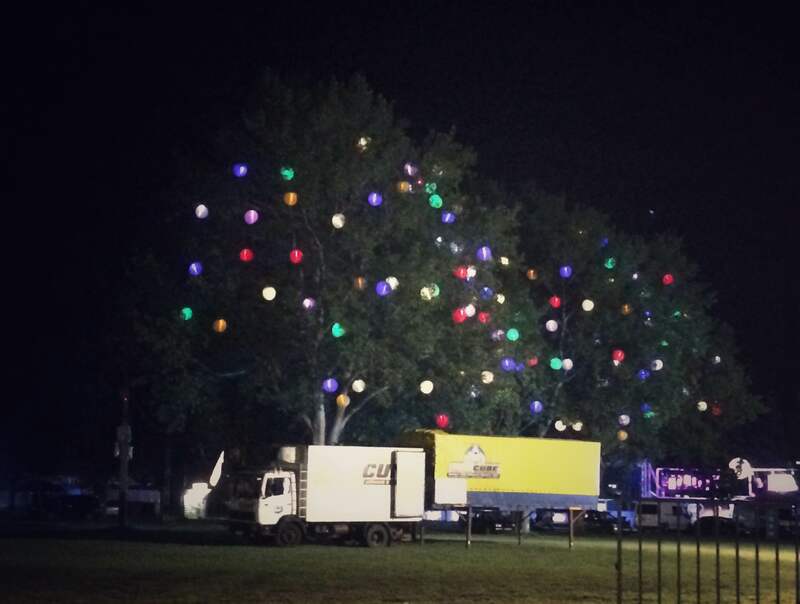 What did the ice cube truck bring under the Sziget Christmas tree? Last year, it was quite dusty. This year seems to be no exception although the temperatures will not be 36 degrees (uff!). If you do not like dust or are allergic to it, bring a mask or at least a scarf to protect your nose and mouth. Hungarian sun has similar intensity like in the Mediterranean. Make sure to bring sunblock and some hat! Pack some headlight or torch as it can be quite dark at night (and you want to take shortcuts to save steps). Be patient, there is enhanced security check-in system to get into the festival, which might take some time in the peak hours. 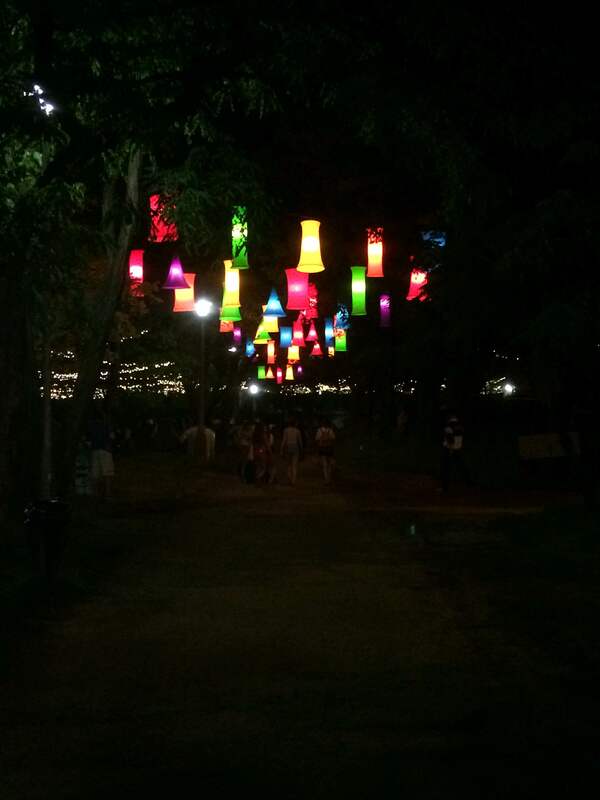 I suggest having fun in the city and coming to the festival grounds for check-in in off-peak hours. 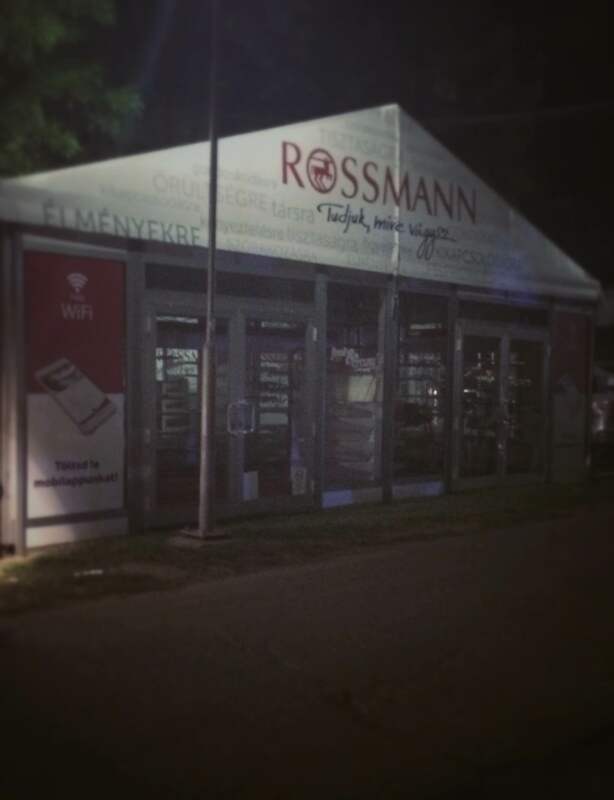 There is a pharmacy, Aldi shop and Rossmann store at the Sziget Festival. 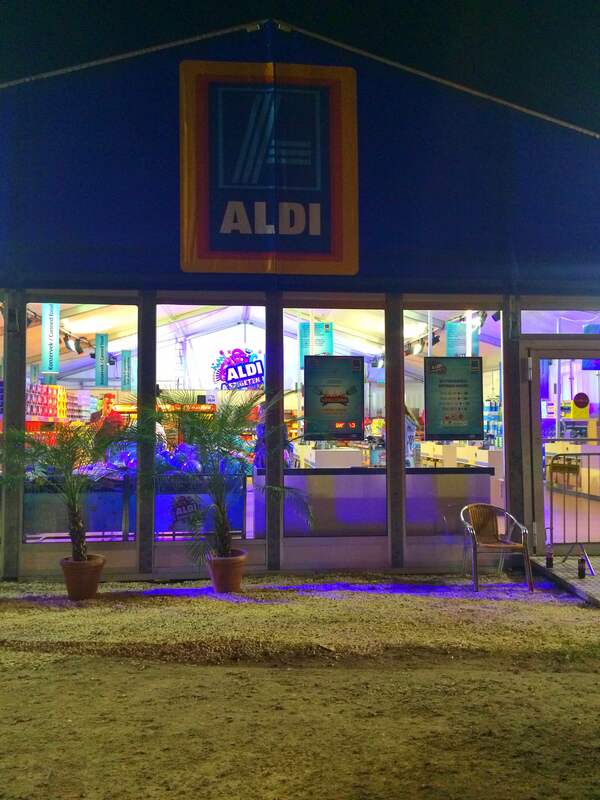 If you forget something they do not have there, you can grab it in Auchan hypermarket, which is 20 min walk from the festival. There seemed to be 1000+1 food options when I was walking through the Island. 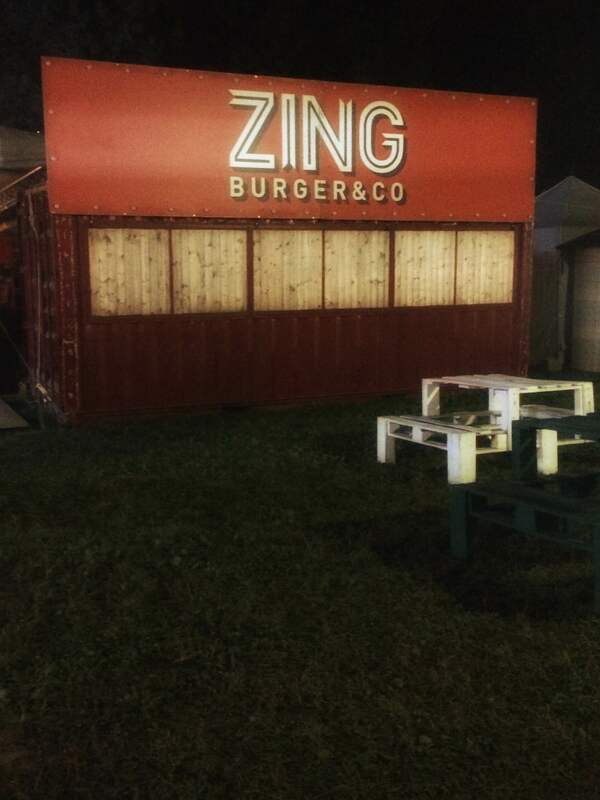 Budapest is in the past few years driving on the Food truck wave, so naturally, these iconic restaurants on the wheels are also offering their goodies at the Sziget Festival. 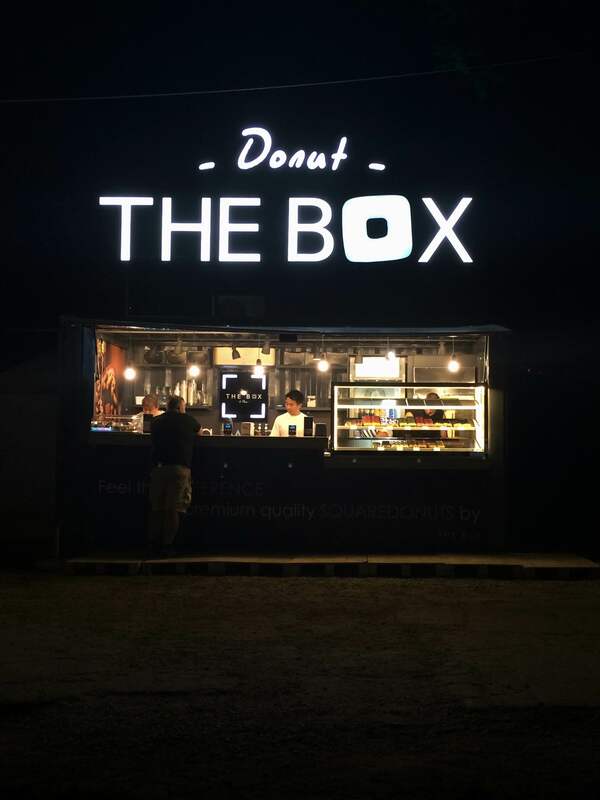 I did not explore the entire island but found already places I love to grab a late night snack when partying down town. Be ready to queue for this goodie! 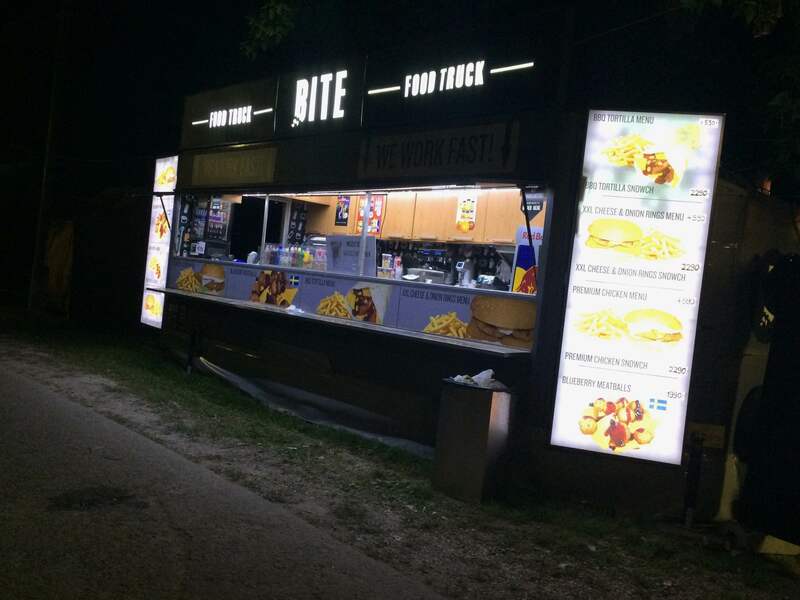 They have more stuff than at their Bite shop by Nyugati pályaudvar! Being Czech makes me a bit picky about my beer. 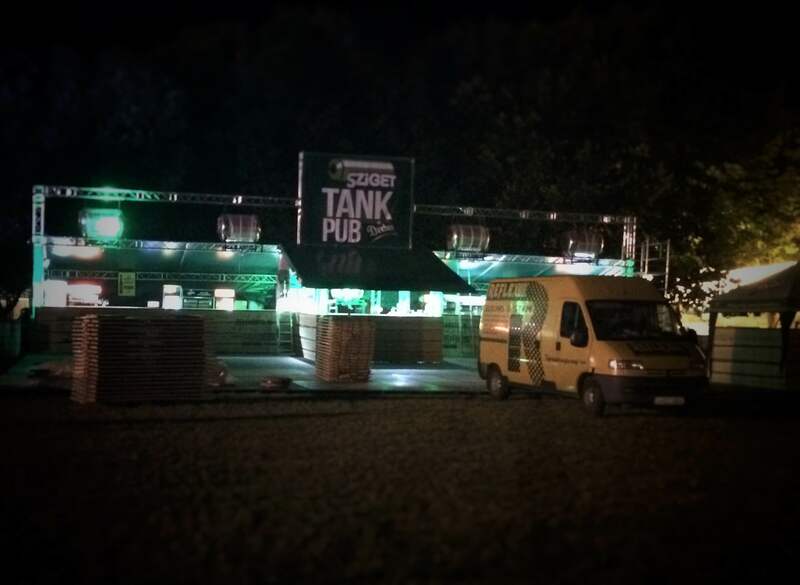 Happy to see a tank option this year at Sziget! 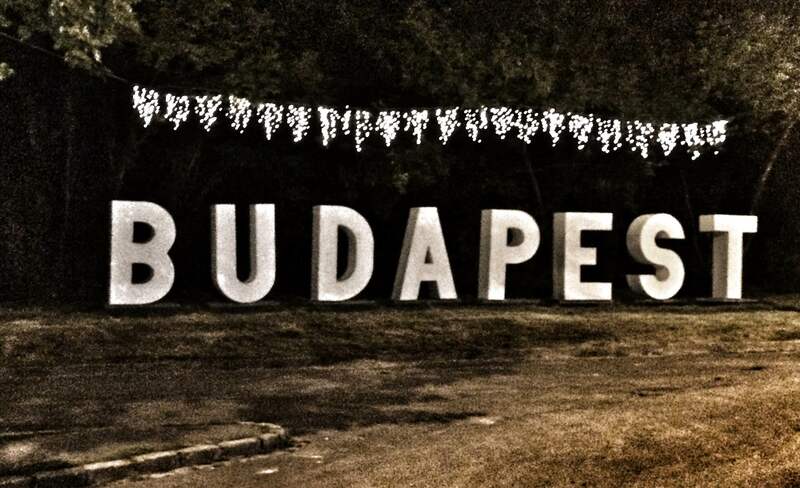 The Sziget and Budapest signs are ready for your pics! It is so unusual to see so little people in front of this sign! Are you still hesitating whether to come to Sziget Festival or not? 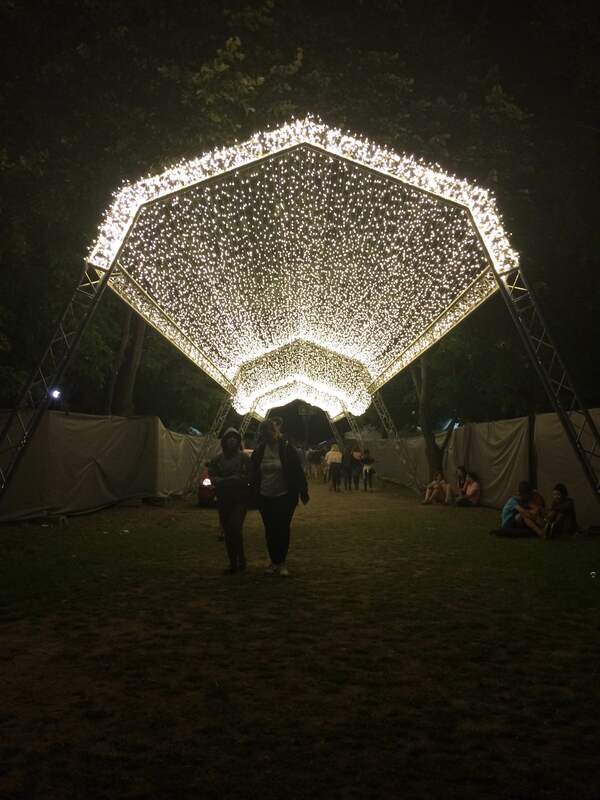 Make a weekend trip to Budapest and come for one day to Sziget festival, you will not want to leave. Are you on your way to Sziget? Or know somebody who is? Share this article with them. Also, follow me on my social media accounts (Facebook, Instagram) for insights into the life on the Island of Freedom 2016! 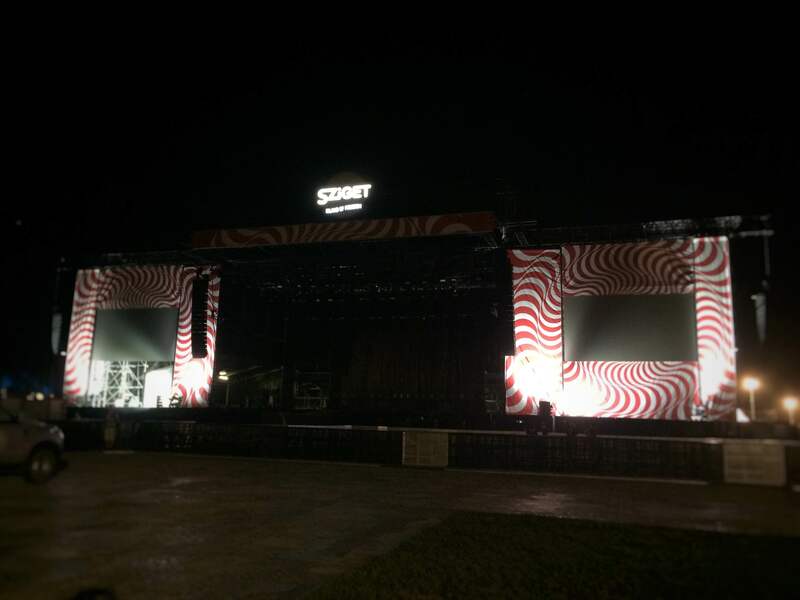 Rain at the first day of Sziget Festival 2016 – never mind!